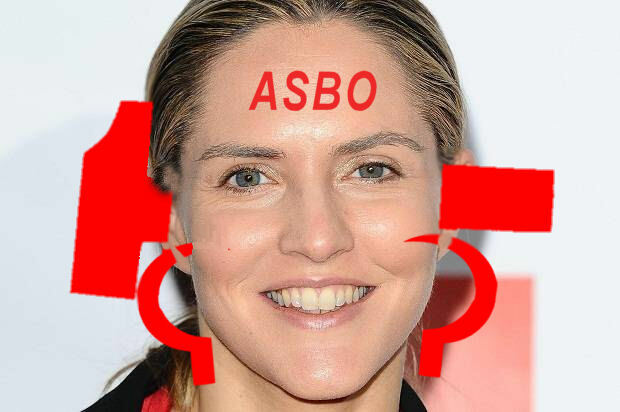 This week’s ANTI-SOCIALIST BEHAVIOUR ORDER goes to Louise Mensch who has resigned as Tory M.P. for Corby in East Northamptonshire. She is turning her back on compassionate Conservatism, the Big Society, the greenest government ever, and the mending of Broken Britain to focus on her own family. How selfish! People who make their money from chick lit and heavy metal have no place in the Conservative Party – they’re far too cultured. May she be condemned to an eternity of headbanging at a never-ending Metallica gig in hell. This entry was posted on 7 August, 2012 in homepage, Uncategorized and tagged anti-socialist behaviour order, Louise Mensch, M.P. for Corby, Metallica, Ubermensch ASBO. Bookmark the permalink.